In the case of no show 100 percent of the balance payment will be charged in full. Cancellation on the arrival day will not be accepted 100 % of the balance payment will be charged in full. 2. 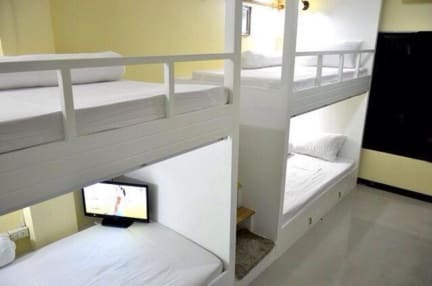 Price: We have all affordable price in many types of room to choose from : AC dorm or Fan dorm. I loved it! I had a good sleeping in a very private bed, even staying in a shared room. They have a good structure! 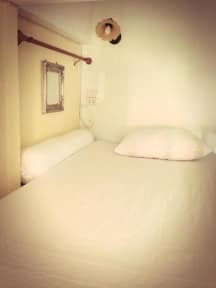 The hostel had big rooms and comfortable beds. The shower was ok but the toilets could be better cleaned just like the rooms The location was good and close from the main touristic zone The reception seemed to be a little disorganized. I wanted to stay more with them and they were always asking me to come back later or they just couldn't say if they had rooms or not so I ended up finding another place to stay. The door on the other building was always with problems to open.